TP7M Touch Trigger Probe - CMM Inc. 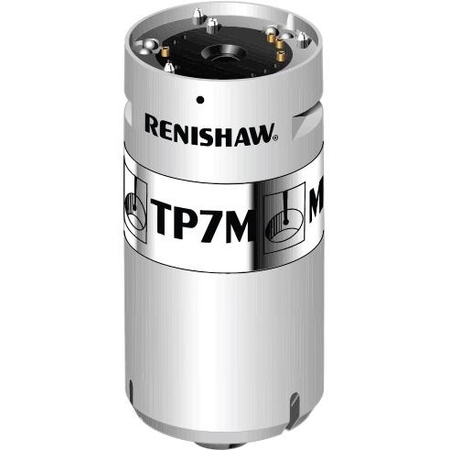 The TP7M is suitable for high accuracy part measurement. It provides extraordinary precision and eliminates lobing errors and reseat errors. The TP7M probe is an electronic probe that uses strain gauge technology, which offers a much longer life than kinematic touch trigger probes.The probe is 25 mm (1 inch) in diameter with autojoint mounting. The TP7M incorporates a multi-wired autojoint connection. It is compatible with the PH10M/PH10MQ motorised heads, PH6M fixed probe head, plus the range of multi-wired extension bars (PEM). FMS and automated systems. Universal DCC and manual CMMs.